In “Government and the Cost of Living: Income-Based vs. Cost-Based Approaches to Alleviating Poverty,” a new paper from the Cato Institute, Ryan Bourne explores an anti-poverty policy strategy focused on cutting the poor’s bills — not broadening and expanding welfare programs. 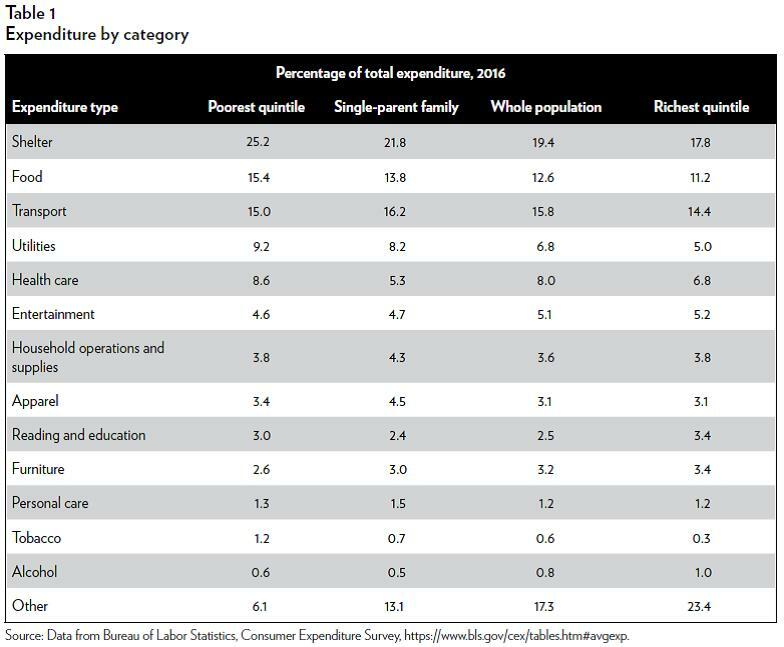 As the chart above reveals, people “in the bottom 20 percent of the income distribution tend to spend a much higher proportion than the rest of the population on ‘essential’ goods and services.” The opportunities for savings are substantial, because Bourne’s list of costly interventions is extensive: “land-use planning and zoning regulations,” sugar subsidies and protectionism, D.C.’s milk mess, the Renewable Fuel Standard, CAFE mandates, dealership-franchise laws, import tariffs on apparel, and occupational licensing. All deserve serious reform, if not full repeal. 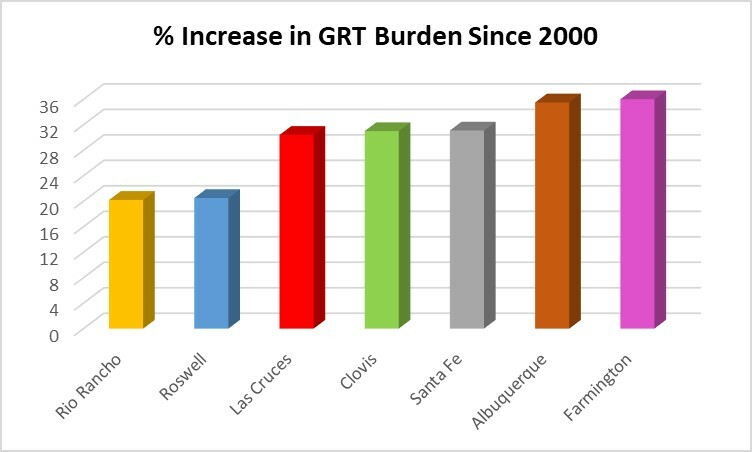 The chart below depicts the growing GRT burden in the state’s seven largest municipalities, which contain 45.8 percent of New Mexico’s population. Rio Rancho saw the slightest rise, and Farmington — as of January 1, 2019 — the greatest. Whether it’s the good or service itself, or the inputs required to produce the good or service, New Mexico’s GRT makes the state’s poor poorer. But don’t hold your breath waiting for leftists in the Land of Enchantment to lobby to weaken the levy’s sting.